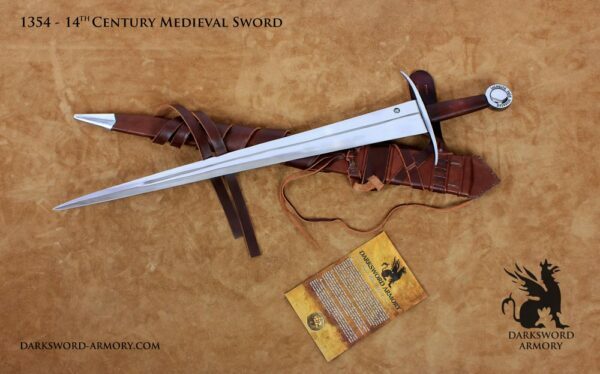 One of the most coveted medieval swords among collectors is the Viking sword. Given the multitude of Viking swords on the market, one wonders whether the market is saturated. Defective Sword: Blade has a slight wave in blade. All other blemishes/rust/imperfections will be removed/polished off before shipping out. 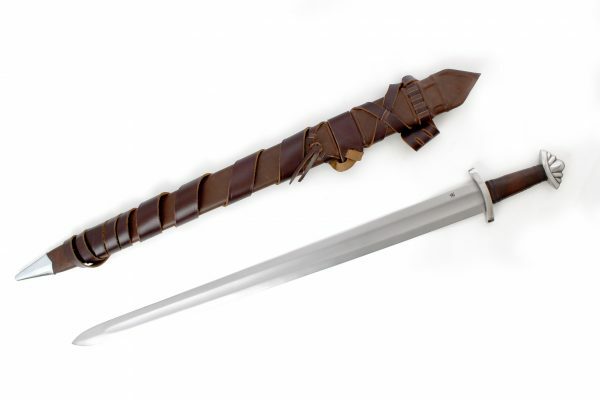 One of the most coveted medieval swords among collectors is the Viking sword. Given the multitude of Viking swords on the market, one wonders whether the market is saturated. 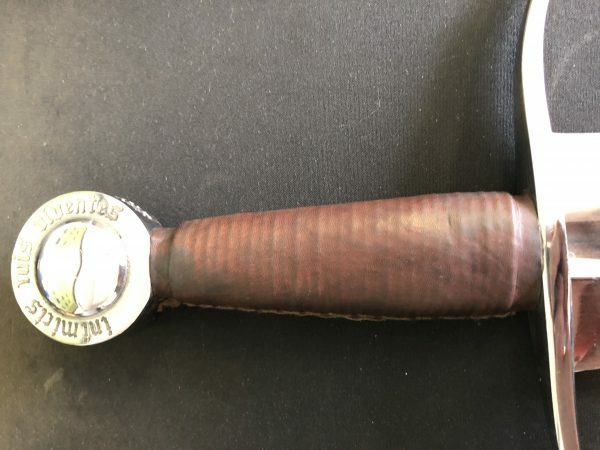 Many reproductions however, play into the stereotype of Viking swords as little more than long cleavers – heavy, brutish weapons wielded by a brutal people. 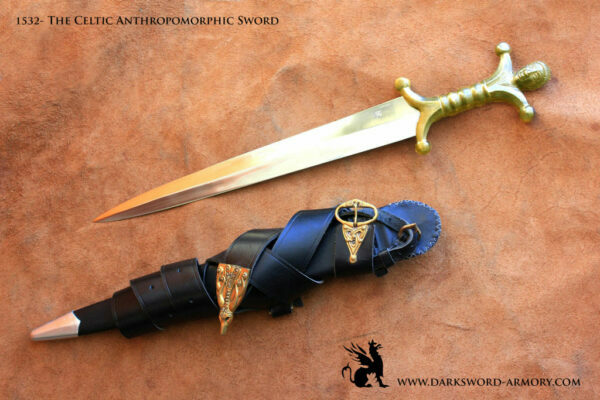 These reproductions fail to capture the spirit or “function” of the Viking sword as an important step in the evolution of the European medieval swords, from earlier Romanesque styles to the arming swords of late medieval period. The most authoritative typology of the Viking swords was written by Dr. Jan Peterson in 1919. Focusing on variations in pommel and guards to formulate a 26 category scheme, Jan Perterson created a typological reference to determine the date of each sub type. 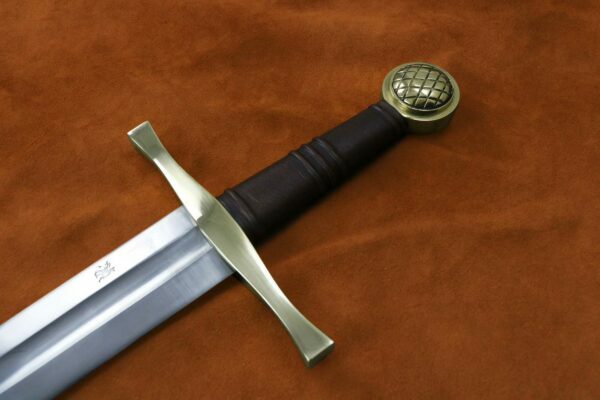 The five lobed Viking battle ready sword is the quintessential Norse weapon during the Viking age. 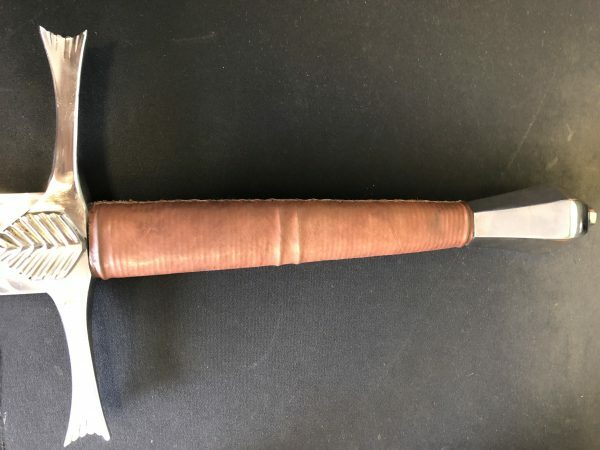 The blade has the distinctive wide fuller and spatulate tip typical of designs from the Viking era. 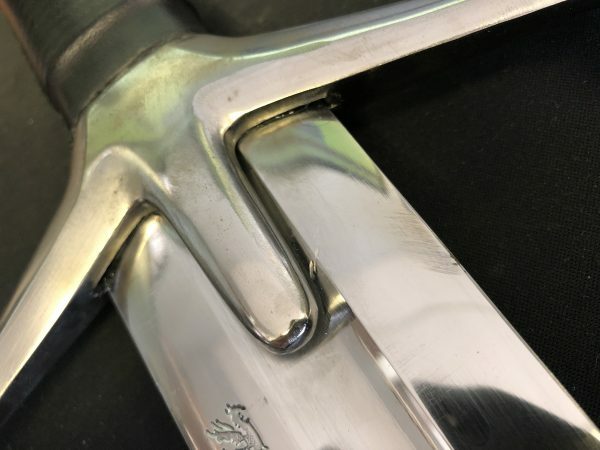 While using a Type 4 blade from the Geibig Typology, we fitted the five lobe Viking medieval sword with an extended handle that is long enough for both “hammer” and “handshake” grip. 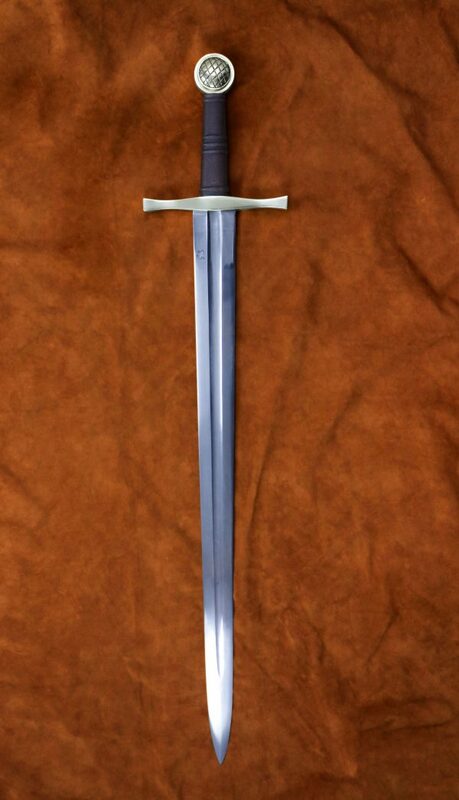 The type 4 blade, found from the mid-tenth century through the mid-eleventh century, features a slight taper and a fuller which extends the blade’s full length. 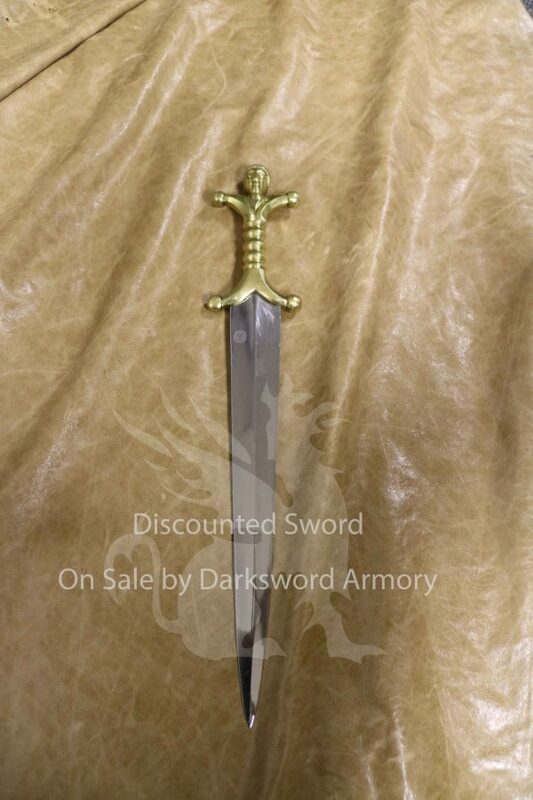 We carefully crafted this Viking medieval sword to reflect the Norse cultural and artistic heritage. Exceptional tools of war, the Viking medieval swords also attest to the Viking culture’s keen interest in art and aesthetic beauty. 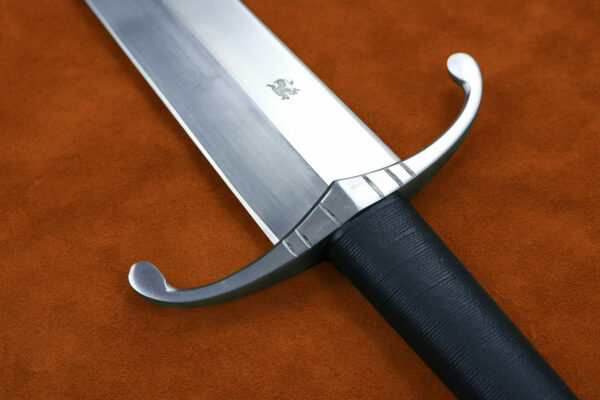 The Viking battle ready sword features a 30 inch blade, forged with 5160 High Carbon Steel and dual hardened.